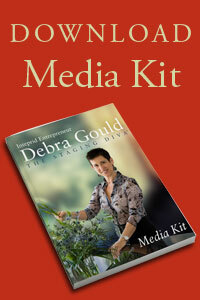 Six Elements president, Debra Gould is also known as the Staging Diva. 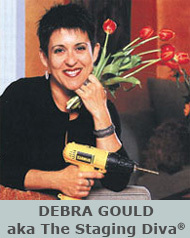 After starting and growing her own successful home staging business she created the Staging Diva Training Program to help others learn how to make a living using their decorating talents. 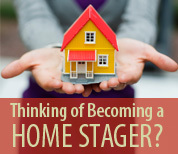 If you’re interested in becoming a home stager or you already are one, but you’re not having the success you would like, please sign up for the FREE Quiz in the red box in the left column of this page! 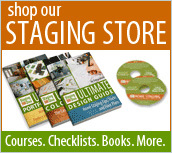 You’ll be automatically subscribed to Staging Diva Dispatch a popular monthly newsletter for home stagers and get a free invitation to meet Debra at an Ask Staging Diva Live event. 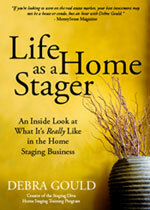 You will also enjoy reading Home Staging Business Report, Debra Gould’s blog for home stagers.